When I read the sad reports of shooting by a gun-toting student at Santa Fe High School on May 19th 2018, killing 10 and injuring another 10, my mind revolted at this mindless violence exhibited by a student at his own school. US reports say it is the 22nd US School shooting since the beginning of this year and we are only in May of 2018! I love watching Cowboy movies since my childhood and thoroughly enjoyed the scenes of horse-riding cowboys, guns strapped to their holsters and the quickness of eye and finger surprising opponents. But, that was Wild West of earlier centuries and even then there was the Sheriff, often at the expense of his own life, enforcing law & order and hanging the bad and ugly! Come on, Texas people should sit up seriously and analyse what is going wrong with their kids. We cannot blame the violence on the streak of DNA that has travelled in the blood stream from those bygone days. We have to control this freak runaway gene from killing the innocent school children by psychologically unstable gun-men, here in this case a suspect student of the same school, Dimitrios Pagourtzis, 17. When I was studying for my Masters of Public Administration in the US, I was advised by the Security Department advisory not to enter some parts of the city and by a well-wisher, that I should not be at the wrong place at the wrong time. Well, how can you ensure that. Two people of the same Sante Fe School were definitely at the wrong place at the wrong time; a Pakistani exchange student, Sabika Sheikh, who was killed, and , Substitute teacher Cynthia Tisdale who was also killed. But, Nature had its surprise as well when a student who survived being shot in the head tweeted: “I’m so grateful and blessed that god spared me today.” Rome Shubert showed, where a bullet went in the back of his head and came out near his left ear. So, God saved him despite being shot. “Tears of sadness, anger and pain”, are definitely appreciated as a sentiment, but some serious thought deserves to be given by the great American people on the easy availability of firearms in society and their still easier accessibility within at homes by children. I have earlier given a detailed thought in my Blog on the same site to this issue. I think it deserves to be looked at. Books, must return to the children as a habit, who are today overtaken by internet and other social media. During our childhood in India, we had no mobile phones, no internet, no Television, no such thing as alternate social media. Only the radio reached us and delighted us with songs, stories, and informed us wit news. Newspapers, magazines and books were our window to the world. We saw, travelled, understood different cultures, lived the lives of the characters we found in the books. And our world was peaceful. None of us ever suffered from an impulse of using a gun in school, which if present at home, was a licensed weapon and kept under lock and key, handled only by father during his hunts. A little amount of control is necessary. I know after a certain age in America the child cannot even be reprimanded by parents, but, gathers life impressions from the world around him or her. Wonderful, but it is like living a little on the edge. I feel that the social impressions, bonds of family and voluntary organisations should be so strongly knit around the children that the basic core values of every American child drive him or her towards peace and camaraderie. Guns are neither playthings nor the solution to any problem, personal or societal, otherwise we would have decimated our own people very fast in every country. Anywhere a child dies, humanity dies a hundred deaths! Let us work for bringing more peace within us! 6th IBADAT-E-AMAN 2018, a peace bridge of music initiative between cultures and communities, was organized for the sixth time at the Stein Auditorium, India Habitat Center, New Delhi, on Friday, February 9, 2018 by St. Stephen’s Society, Agra. Sandeep Silas, the noted bilingual poet, recited soulful poetry in English to enthrall the audience. The renowned Chandana Dancers Guild from Sri Lanka, kept the house-full audience spell bound by the magic they weaved in their six acts of dance-drama on themes such as: Beri Vrundha, Nagar Raksha, Wonder of Sri Lanka, Heritage of Sri Lanka, Ridmanjali, Rupat Nari, Prem Puja, Manthra, Thandava Nritya, Abishek and Thelme. A madness is overtaking humanity, I feel. Suddenly one fine morning a crazy man picks up a gun and goes on a killing spree for no reason whatsoever. The innocent people busy in their own affairs are subjected to cold blooded murder. This person is not concerned whether the victims are studying in a school, gathered for a religious prayer or just dancing an evening. The murderer has no grudge against anyone of those persons. He has never even met them. Still, they fall prey to his madness and die an unfulfilled life. Why? What happened in the Texas Church shooting on November 6, 2017 is utmost deplorable. It is seen from the reports that this man re-loaded his weapon several times in order to kill more people as if he was on a mission to eliminate the entire congregation. 26 people died and 20 were wounded. The First Baptist Church in Sutherland Spring shall never be the same again. It floors shall forever bear the blood of the worshipers who had gathered in the name of The Lord to pray and follow a good path in life. In a short time people forget such gruesome killings if none of their family members are involved. Only personal tragedies are remembered. This is the saddest part of life. Such immense human tragedies leave a tail of havoc in the lives of those who survive. Just imagine, one victim was carrying an unborn fetus, and the youngest child who fell to the bullets was only 1 year old. Devin Patrick Kelly, the mentally disturbed shooter had escaped in the past from a mental health facility. He had also been convicted in a Court martial proceeding. He worked as a Security Guard at Summit Vacation Resort in New Braunfels. All the more reason that his antecedents should have been checked before he could purchase and amass four weapons. Kelly was reportedly undergoing a dispute with his in-laws and one of the victims was his grand mother-in-law inside the Church. Even if he had a grudge with his wife’s family, it was no reason to kill people who were totally un-involved. It appears that the man was angry with the world. Heather Cooper, 8, places her favorite doll on a row of crosses for each victim, after a mass shooting that killed 26 people in Sutherland Springs, Texas on November 6, 2017. This is perhaps the most appropriate requiem to those whose lives were cut short by a madman who took the path of violence against fellow citizens for no reason. 1. Why did the information about Kelly’s court martial and release from a mental health facility was not available through Internet with Gun sellers? 3. How come persons with mental health issues do not have a regular follow-up with the facility? 4. Why are there no restrictions on carriage of weapons inside Hotels, Places of Worship and Concerts? The world has to remain a peaceful place for human life to smile. This is not only our concern but also our human duty to fulfill. The only time I have been to Las Vegas was many years ago during the summer of 2005! My memories of The Strip as it is called are of a very free place where you can do anything you want to do from gambling to partying to…. I was showing the wonderful culture of the US to my sons as part of their growing up age. They were 13 and 16 and I was 45! The Strip is a straight road both sides of which humans have built their little heavens. We stayed at Circus Circus, which was more of the family type reputation. We had fun, that’s what we came to Las Vegas for. The younger son could also play at the machine and I remember the excitement on his face when the coins started falling as he hit a winning number. We were on a shoestring budget so any amount to be lost was of value as it would deprive us of something else we wanted to do. But, still we had a taste of the colourful bright disks revolving inside those machines. Outside on the street I could see flyers with names and telephone numbers of those who were available. I dialled one number and as I learned that the cost of witnessing a dance would be 150 $ I just dropped the idea like a hot brick. Why I am telling you all this is to emphasize the fact that the spirit of Vegas is free and full of fun. Sad, that on October 2nd, which is celebrated as the birthday of Mahatma Gandhi, the leader who got India its freedom through non-violent struggle, the same day would see so much bloodshed in Las Vegas for nothing. “58 killed 515 injured at the Jason Aldean concert in Vegas” was the worst ever headline any newspaper could print on Gandhi Jayanti day! The tourism promotion slogan for Vegas has long been, “What happens in Vegas, stays in Vegas”, and this was blown to smithereens as what happened in Vegas went all over the world in blood and tears! A killer by the name Stephen Paddock, age 64, shot madly at 22,000 concert goers from the hide-out of his hotel window, leaving the most bloodiest trail in human history of a mindless shoot-out. Here, it was not even ISIS, or any other terrorist organization, but a lone individual, who didn’t even seem to have a grouse against anyone for political or religious reasons. He killed himself after the volley of five minutes firing from automatic weapons that he had launched from his room on the 32nd floor of Hotel Mandalay Bay. The victims were unsuspecting revellers happy to be in Vegas for a holiday. “ (CNN) Every detail of this indiscriminate mass murder seemed meticulously planned. The selection of a hotel room overlooking a music festival, days before the attack. The cache of 23 weapons inside the gunman’s Las Vegas suite. And thousands of rounds of ammunition — plus an ingredient used in explosives — inside the killer’s home and car. The latest revelation came Tuesday afternoon when police said gunman Stephen Paddock set up cameras inside his hotel suite and in the hallway. Police are not aware whether the devices were transmitting — the FBI is investigating their use — but the Clark County sheriff told reporters he thinks the shooter might have used them to watch for people approaching his room. One camera looked out the peephole on the suite’s door. The Bureau of Alcohol, Tobacco, Firearms and Explosives disclosed that Paddock had outfitted 12 of his rifles with a legal device called a bump-fire stock, which enables a shooter to fire bullets rapidly, similar to an automatic rifle. Authorities released the first body camera footage of police responding to the shooting. It captured the rapid staccato of the gunfire at a fairly close range. Now, that raises the most difficult question, which the Americans would not be willing to find an answer to. Why is it so easy to buy sophisticated weapons off the shelf for any American citizen, while it is so difficult to buy medicine without any prescription? There is no limit imposed on the quality and quantity of arms and ammunition that a citizen might need. The US has one of the best data bank of its people. And medical history records are also maintained meticulously. It is common to see patients of depression in the US who suffer because of myriad reasons from heartbreak, loneliness to crisis of expectations. Since the social security net covers every citizen so remarkably, it is emotional upheavals more than anything else, which are the main cause of people falling into depression. This might trigger a wave of protest under the umbrella of individual freedom, but then not having such a system in place is leading to results like what happened in Vegas. And, it is not the only time when a lone gunman has made schoolchildren or people at prayer the target of hate crimes and bloodshed. Why should one man who is not at peace in his heart be allowed to amass weapons at such large scale and shoot innocent people who are holidaying for no reason? I leave it at that, for the US Administration to take note of and decide in the best interest of US citizens. It is the peace within every person’s heart that is more important than anything else in the world of today! It has been 45 days since the face-off between Indian and Chinese troops started at Doklam and shows no signs of resolution. To understand the conflict first let us open the pages of history, diplomatic treaties and agreements to discover the why and wherefore of Doklam. It is not a two country situation but a triangular interest zone where two parties are signed up in a Treaty of Friendship, viz; India and Bhutan. Geographically Doklam is a narrow plateau at the tri-junction of Bhutan, India and China in the Chumbi Valley. It is 15 km south-east of Nathu La Pass that separates India & China and about 30 km south-west of the Dramana Chhu River (shown as disputed between China and Bhutan). On the western edge of the plateau is Doka La Pass that connects Sikkim with China and Bhutan. Why it is so important to India strategically, is because China can access Sikkim easily through the Doka La Pass and cut off the chicken neck Siliguri corridor linking North-east India with the rest of India. The roots go back to 1890 AD! — Ministry of Foreign Affairs, Royal Government of Bhutan. What happened in June 2017? China started extending a road from Yadong towards Bhutan Army Camp at Zompelri near the Zampheri Ridge, which ridge is wholly within Bhutan and extends eastwards towards the Siliguri corridor. Indian soldiers moved into that area to safeguard Bhutanese territorial interest and upsetting of the status-quo by China. Indian self-interest was clear if China succeeds in gaining strategic strength and capability in that area of Chumbi Valley, the threat to India of a military invasion from that side is closer reality. Since my childhood, I have always wondered why China believes in laying claims to other nation’ territory. It is some kind of a rolling plan they follow through PLA, moving every year a little across the border into another nation and announcing it first as disputed, then Chinese. We all know that Tibet was/is an independent country/people and how Chinese aggrandisement keeps it subjugated and militarily controlled. This kink in the Chinese political philosophy deserves to be cured by the international community of nations. I have had the pleasure of dining at the residence of then Ambassador Nirupama Rao in Beijing during an official visit and the pleasure of meaningful conversation on Sino-Indian relations. There can be none better than her to lead the diplomatic offensive to resolve the Doklam Jam. Doklam cannot be viewed as a military solution, because that is fraught with the danger of an Indo-China war, which the country and the present world can ill-afford. Reliable sources in the Indian Army say that currently Indian and Chinese soldiers are face-to face at 11,000 feet at Doklam! “Nearly 300 Indian soldiers have pitched their tents on Doklam blocking the PLA from building a contentious road into territory Bhutan claims. Army officials says the troops will stay for as long as New Delhi wants them to, even through the 10 below zero winter temperatures of the plateau. “Since 1967, every aggressive move the two sides have made along the 4,057-km-long Line of Actual Control (LAC) has essentially been posturing, each side manoeuvring to prevent the other from altering the status quo on the ground. The closest India and China came to another war was in June 1986 when General K. Sundarji heli-lifted a mountain brigade to face off against a PLA incursion which had built a road into Arunachal Pradesh. Chinese leader Deng Xiaoping conveyed, through visiting US defence secretary Caspar Weinberger, his intent to “teach India a lesson” if the crisis was not resolved. The Chinese troops did not withdraw until 1993 when Prime Minister P.V. Narasimha Rao visited Beijing. Peace and tranquility have prevailed on the border ever since, and the two words formed the underlying text of a landmark ‘Border Peace and Tranquility Agreement’ signed by PM Rao in 1993. More recently, China’s thrust on border infrastructure and the PLA’s transformation have made the peace an uneasy one. Xi’s reforms of the PLA are without doubt the most sweeping in its 90-year history. The focus is on modernising and enabling greater integration through a newly set-up joint operations command system, something which India itself has long sought-and failed-to implement. The army’s various departments are now under the direct control of the Central Military Commission (CMC), which Xi heads. Now, a single western theatre command handles the border with India, integrating the earlier Chengdu and Lanzhou military regions. The focus is on mobility and nimbleness, leveraging the road and rail infrastructure China has in place, and on integrating the army and air force more closely. On the face of it, the odds seem to overwhelmingly favour the PLA. Weak infrastructure and a stalled military modernisation have hobbled the Indian armed forces attempts to ramp up their posture from deterrence to credible deterrence. This year’s defence budget, at 1.5 per cent of the GDP, was the lowest allocation since 1950-51. The army’s attempts to replace its ageing helicopters, missiles and infantry equipment after the 1999 Kargil War are yet to bear fruit. Its first howitzer buys in three decades, the 146 ultralight howitzers from the US, will trickle in only next year. Its Mountain Strike Corps, an offensive high altitude warfighting force comprising over 90,000 soldiers, will only be combat-ready by 2021. The armed forces lack strategic reconnaissance to peer at least 300 kilometres deep into China and Pakistan and detect mobilisations. The army has been embarrassed by revelations in a July 21 CAG report of its tank and howitzer ammunition being adequate for only 10 days of intense war fighting against the prescribed 40 days. But of greater concern is the tardy pace of adding border infrastructure. Only 22 of the 73 all-weather roads along the LAC have been completed a decade after they were sanctioned, the 14 strategic railway lines to rush troops and supplies to the border remain paperbound. The IAF’s dip in combat aircraft, 32 instead of the sanctioned 39 fighter squadrons, is so perilous that Air Chief Marshal B.S. Dhanoa, in a recent interview, compared it to playing cricket with seven instead of 11 players. The navy is short on both submarines and anti-submarine warfare helicopters, key capabilities in tracking Chinese submarines that are now routinely deployed in the Indian Ocean. “In all three sectors, western, middle and eastern, motorable Chinese roads now reach right up to the Indian border. In the middle and eastern sectors, in the Chumbi Valley bordering Sikkim and in Nyingchi across the border from Arunachal, the Chinese railway network will reach the border by 2019. In the current five-year plan (2016-2020), the Yanga-Nyingchi railway to the Arunachal border, the Shigatse-Yadong railway to the Chumbi Valley and the Sikkim border, and the Shigatse-Gyirong railway to the Nepal border will be completed. As local officials in Yadong county told India Today in 2015, a 500-km rail track has already entered the Chumbi Valley and tests will begin next year. The line to Nyingchi near Arunachal is now being constructed and will be ready in two years’ time. This allows China to rapidly mobilise divisions from not only the western theatre command, but also from the central, southern and eastern theatre commands to the Indian border in a matter of days. The PLA air force also operates around a dozen airfields along the Indian border, with five big airports in Tibet, from Ngari Gunsa in Shiquanhe, which borders Aksai Chin, to Nyingchi airport near Arunachal. The other big logistical advantage for China, Kondapalli notes, is its indigenous military industrial complex that ensures independence of supplies. “They have a 30-day backup which means they don’t have to depend on supplies. Our record is relatively bleak on this front,” he notes. Most Chinese analyses of the border with India have highlighted Beijing’s artillery and missile units as its biggest advantage. A detailed study published on July 7 in the Sina military portal, China’s most widely-read defence website, assessed how the country would handle a conflict with India. It noted that the PLA had made big strides in mobilisation, and revealed that in 2014, during the Chumar standoff, China was able to rapidly mobilise its 54th group army, which was involved in both the India and Vietnam wars, from Henan to Tibet to undertake a drill, while long-range rocket artilleries and J-10 fighters were also sent to border airports as deterrence. “After decades of preparation for war, the PLA has experienced a kind of metamorphosis… Weapons, drills, logistics, and military tactics have improved to a large extent. Troop deployments at the western frontier have been strengthened, as also field artilleries in Tibet. There is serious deterrence towards India,” it concluded, suggesting China’s aim was to win the war without fighting. Will China go to war? If China does go to war, analysts say, it will be only after carefully weighing the benefits of getting into a full-scale conventional war where it cannot score a decisive victory. To initiate a conflict will mean tearing up multiple peace and tranquility border agreements with India and disabusing its own proclamation of “peaceful development”. In the event of the most plausible conflict scenario, a limited war involving only the army and air force, an advancing PLA will first have to reckon with over 250 of the IAF’s Su-30MKI air dominance fighters (the IAF’s fighter jets sat out the 1962 war). The IAF jets can take off from their bases on the plains with a full payload of fuel and weapons as opposed to the PLAAF fighters operating off the exposed airfields on the Tibetan plateau with reduced combat loads and fuel (due to the rarefied air). “The IAF’s unlikely to wait for PLA to make the first move, our fighters will target their concentration areas,” says Air Marshal P.S. Ahluwalia, former C-in-C of the Western Air Command. Chinese media has repeatedly brought up India’s 1962 defeat. Here, Indian troops in NEFA during the war. The army’s emphasis on manpower is not out of place. Mountains swallow troops. If an attack on the plains would need a ratio of 1:3 or three attackers for one defender, it swells to 1:12 in the mountains. The PLA will need over 50,000 soldiers to mount a successful thrust down the Chumbi Valley and towards India’s ‘chicken’s neck’ which the Doklam plateau overlooks. Both sides are so evenly matched that neither can advance without incurring heavy casualties which is why experts believe Doklam might not trigger a conventional war. “China prefers to coerce,” says defence analyst Ravi Rikhye. “It will be very, very reluctant to actually start a war.” G. Parthasarathy, India’s former high commissioner to Islamabad, terms Beijing’s response to Doklam as “jingoistic and afflicted by hubris” and draws a parallel to the Sumdurong Chu standoff. “This one could last for months, if not years,” he says. Over a fortnight before the Doklam face-off, army chief General Bipin Rawat met his five army commanders in Srinagar. The commanders’ huddle in Srinagar’s Badami Bagh cantonment on June 1 came just two months after the twice-a-year army commanders’ conference. The five army commanders, whose area of responsibility-northern, western, southwestern, southern and eastern covers all the zones of future conflict, reviewed war contingencies with Pakistan, particularly its ‘proactive strategy’, colloquially called ‘cold start’. Conceived in 2004, it cuts down on the two-week-long mobilisation time by swiftly mobilising the army to carry out lightning multi-front shallow thrusts across the border with Pakistan within 72 hours. The option of thinning troops from the China border to address the Pakistan front, as the army has done in the past, is no longer viable. “We cannot redeploy troops from our eastern borders now. The risk of losing territory to probes by the PLA is too great,” says an Indian army general. I will try to delve deep into the Chinese psychology as a country by recording two of my personal experiences. I remember while studying in Syracuse University for my Masters in Public Administration, I was helping a Chinese student friend with an academic issue. Slowly, the conversation veered to Indo-China relations and I told the lady that China invaded India in 1962 and since then is illegally occupying Indian territory in Aksai Chin (J & K) and laying false claims on Arunachal Pradesh areas. She quipped back sharply: “We never attacked your country. We are not occupying any territory of yours”. “No”, she answered, “not at all”. I realized how she could have read it in the history recorded by a Communist party regime (where history is the first thing to be doctored)! Anyways, I showed her the map of India and the territory under Chinese occupation since 1962, but she did not believe me despite being a college friend in a third country international University. I also remember today my diplomatic visit to Beijing where we were received in the Great Hall of the People at Beijing by Madame Liu Yandong, a Vice-Premier of China, where she elaborated painstakingly, non-stop 45 minutes, on how democratic, China as a country is, and what all benefits in the social sector the Chinese government is bringing to their people. “BEIJING: National security advisor Ajit Doval’s meeting with Chinese President Xi Jinping did not yield any breakthrough that could end the current standoff in Doklam. Analysts, however, said the cool off in the recent weeks may give leaders enough time to find a solution. Doval met Chinese President Xi Jinping and other senior officials on Friday at the summit of Brics national security advisers (NSAs) in the Chinese capital. There has only been a slight improvement of the situation that prevailed after Chinese leaders insisted for weeks that there could be no meaningful dialogue until Indian troops withdraw from their positions at the disputed site in Doklam . Today, at Doklam, the Chinese Government forgets that it has a $ 71 Billion worth trade with India (January 2017) and any aggression for a piece of territory will disturb this balance. Like everywhere in the world, Chinese goods are being sold from almost every shop in India and at many places it has redefined the material to be used, the quality standards to be followed (well-known fact that Chinese goods marketed in India are of cheap quality and do not last long), still the quantum of trade is worth risking it for a war that benefits none and brings in elements of distrust, back-stabbing and treachery back into the psyche of Indians, which the Chinese have with the passage of years since 1962 succeeded in reducing by trade. In every important city of India, you will find a Chinese shoe-maker and scores of popular Chinese food restaurants. The question is: Whether China allow itself to be dictated by a belligerent Peoples Liberation Army leadership or a trade oriented political leadership? Whether it will be the victory of illwill or goodwill? It’s all about the leadership you have in any country! Author adminPosted on July 30, 2017 July 30, 2017 Tags Bhutan, British Council, Doka La Pass, Doklam, Global Peace, Indo-China relationship, Inter-cultural Leadership, International Peace Bureau Geneva, Manchester Business School Manchester UK, Maxwell School of Citizenship & Public Affairs Syracuse University NY, Peace Activism, Peace Building, Peacenik, Sandeep Silas, Siliguri Corridor, St. John's College Agra, St. Peter's College Agra, United Nations, www.garlandofpeace.com, www.sandeepsilas.comLeave a comment on Doklam Jam: Will Doka La Pass bring war or peace? In my childhood, a Kabuliwala used to come every season with a bag full of dry fruits and saffron. He was a trans-nation hawker, who brought not only dry fruits of the best quality but also goodwill from a neighbouring nation. Such was the Kabul of those days which used to live in our hearts and in our literature. Afghanistan used to be a Kingdom then, and from the little we knew of it, it was considered a progressive society. And then its bad luck phase started, which has continued to this day. To recapitulate the history of Afghanistan, it was a kingdom state established by the returning soldiers of Nadir Shah after his death in 1747. Ahmad Shah Durrani became an elected King through the Assembly of Tribes and ruled Afghanistan till the occupation of Kabul by Dost Mohammad in 1818. The eyeing of Afghanistan by Russia made the English ambitious and they crowned Shah Shuja in a mosque as the new ruler of the kingdom. The Anglo-Afghan wars of the 19th century brought British soldiers on the turf and their interference in the affairs of the kingdom. They installed a puppet King and Kabul saw many wars and skirmishes. In 1880 Abdurrahman became King and three generations of his rule saw the advent of technology and modernization. King Amanullah also accelerated the modernization of the Kingdom on European patterns but the Old Guard forced him to exile. Zahir Khan rules, then Daud Khan converts himself to PM and then President but that too does not last long and Afghanistan passed into Russian occupation from 1979 to 1989. In 1994 emerged Taliban and Afghanistan’s history was plunged in unparalleled war of terror based on religious fundamentalism. What happened later is not the objective of this article and is also well known to the world through Hollywood movies, newspapers and TV Channels. My lament today is the truck bomb that killed 90, and wounded hundreds on Wednesday the 31st May. 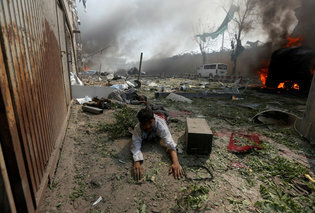 The scene of this horrible crime towards humanity was the diplomatic area of Kabul. 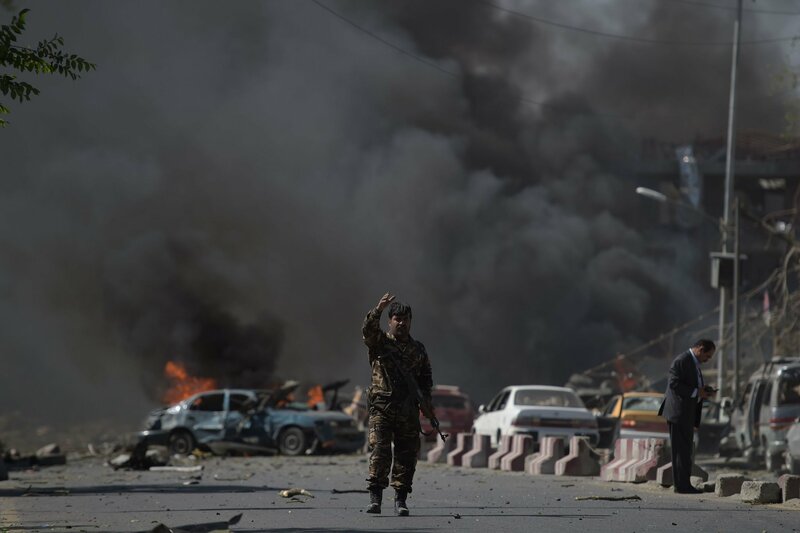 A suicide bomber detonated an explosives-packed truck in Zanbaq Square at about 8.30 am when life was beginning to start on the day little realising that a bloody fate awaited people in that area. Alas, the garden city of the Mughals is now in ruins! Gone are the days when Badshah Jahangir used to enjoy the gardens of Kabul. Today, the Bamiyan Buddhas have become two tears of stone in Afghanistan, which bleed constantly. Issues have been lost under layers and layers of politics and terrorism. 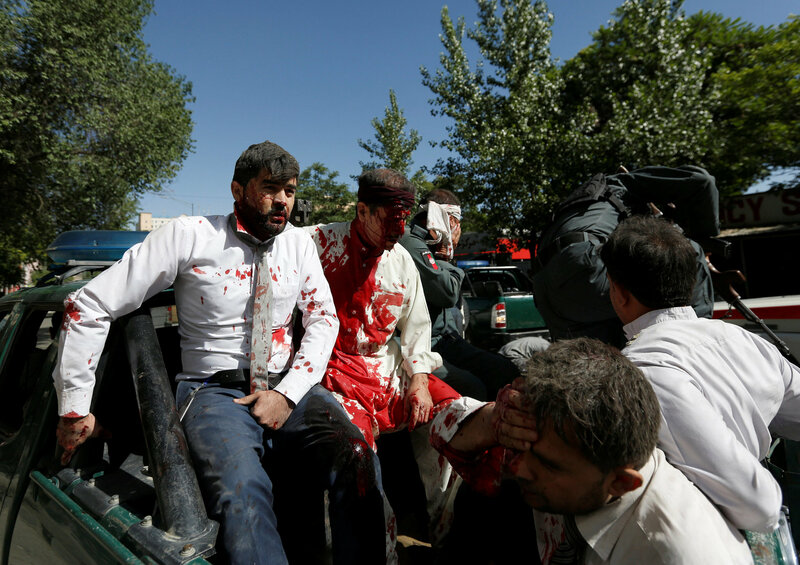 Fundamentalism of religion and belief is bad and that is what Afghanistan has become symbolic of today. My friend Hekmatullah Foushanji, (we studied together in Maxwell School of Public Affairs, Syracuse University, NY), I remember the lovely Bollywood songs you and I used to sing in corridors and parties, you the first half in Dari, I the second half in Hindi. I pray for peace in your country and the lives of the innocent to be safeguarded from such dastardly attacks. You have a big responsibility as Director, Foreign Affairs of your country’s National Security Council. May the Creator bring back the days of goodwill and peace as existed in the days of the Kabuliwala ! I send to the city of Kabul and the citizens of Afghanistan, the peace and prayers felt in millions of hearts across the globe! Manchester is a place close to my heart for its dynamic energy and vivacious way of life! The city has its own unique character. I studied there at Manchester Business School and that is the first place in the world, where I saw daylight last up to 11 pm ever in my life, and also discovered what the word “blinds” actually meant. The light just won’t go out in the sky in the summer of 2002, and only when I drew the blinds did I feel night at last. It had become a daily routine to go walking from the School to the city, visit a pub, the more ambitious did pub crawling and then return to the night within the blinds. My first introduction to British Theatre was at Manchester. Miss Saigon and The King and I, were the two plays I remember having seen at one of those theatres, of which we had read about, with powdered ladies dressed in their finery, armed with their snuff boxes and binoculars. The plays were staged fabulously and left an imprint on the soul! Never on earth could imagine that a helicopter could actually land on stage and the stage move so quickly to change the scene. The direction was technically sound. Ah, yes, football, the passion of the city. It seemed that all the world was either united behind Manchester United or Manchester City! Sad day in life to hear of the suicide bomber attack on May 22nd 2017 in Manchester Arena, Europe’s largest indoor theatre. A place where almost 21,000 people had gathered to hear the American singer Ariana Grande, became a scene of blood, shock, broken limbs and pale death. 22 people were amongst those killed and some 59 other injured, when Salman Abedi, a suicide bomber blew himself up in the foyer of the theatre. He detonated a home-made bomb at 10.30 p.m. on Monday 22nd May at the theatre. Born of emigrated Libyan parents, he brought death to many innocent people who were not even remotely connected to any cause he was pursuing. 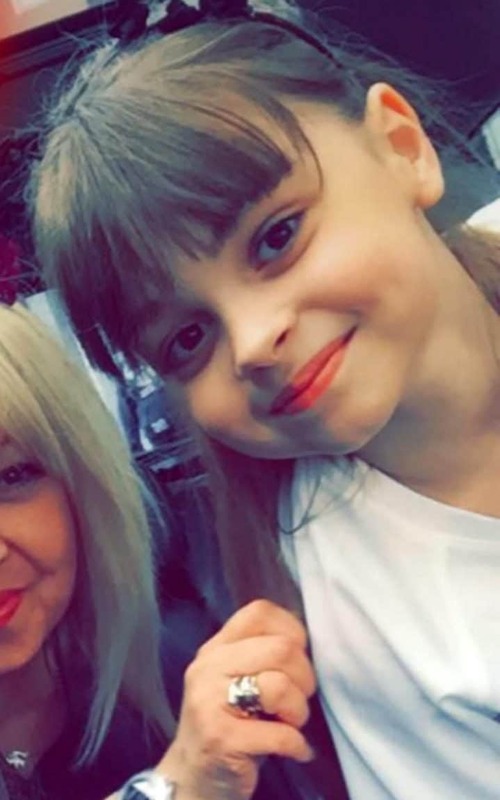 Today, I want the entire world to see the smiling face and eyes of Saffie Rose Roussos, aged eight, and feel the pain of the death of this beautiful promise of life ! Who would become the cause of death of an innocent flower like this? We cannot anymore allow madmen amongst our politicians, so-called religious leaders, cadres of terrorist organizations and the hooligans of society to take away the life of the beautiful people of this world. They might have issues of their own evil mind’s making. Why should the people of the world continue to die because one man’s madness thinks of other philosophies, ways of life and other cultures as abominable to his thought? Why should any political or religious fanatic leader be allowed to preside and promote mayhems and bombings to ensure his grip on his own followers? Why should organizations like IS exist even for one more day? Plato says, ” No wealth can ever make a bad man at peace with himself.” My question is why should an entire humanity suffer because of some bad men who have migrated their way to top positions of power and are controlling nations, cadres and organizations as the case might be? The people’s will is supreme and a handful of liars and fanatics should not get away with murder. Don’t we need more James Bond 007s in real life now than on the screen? Only Bond can save the world now from an apocalypse ! Seriously, M should recruit more James Bond Agents to scour the world and stop such happenings, because the sophisticated Yards and Bureaus are failing again and again. It seems that our intelligence systems need a relook and a determined, dedicated leadership to prevent any such tragedy from striking at the core of humanity. Why do our intelligence agencies fail to sense such lurking attacks even though armed with latest technological gadgets and eavesdropping systems? Why should innocent people die in such gruesome manner while they are doing nothing, but just celebrating the beauty of life ? I am sorry to place on record that even after the world has seen the ugliest face of terrorism it is not one on terrorism. The Comprehensive Convention on International Terrorism is still at the proposal level after two decades ! “The Comprehensive Convention on International Terrorism is a proposed treaty which intends to criminalize all forms of international terrorism and deny terrorists, their financiers and supporters access to funds, arms, and safe havens. The negotiations for this treaty are currently[when?] under way has been[clarification needed] under negotiation at the United Nations General Assembly‘s Ad Hoc Committee established by Resolution 51/210 of 17 December 1996 on Terrorism and the United Nations General Assembly Sixth Committee (Legal). The negotiations are currently deadlocked even after two decades of proposal i.e. through 1996 till 2016. 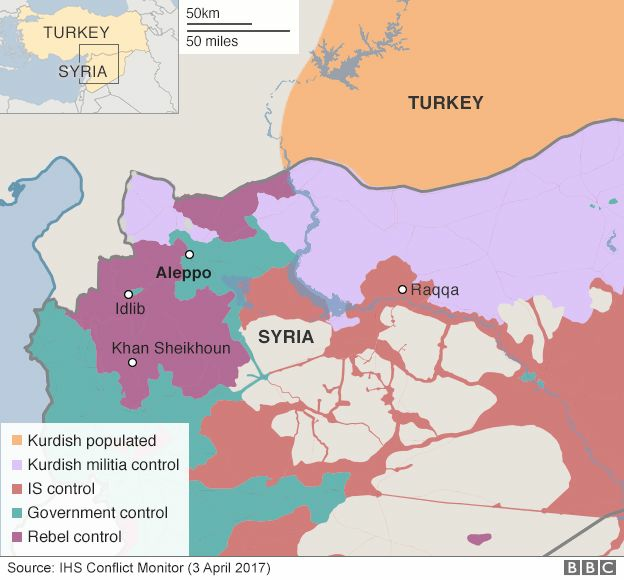 News broke out on April 4th 2017 that more than 80 people have perished in a suspected chemical attack on the rebel-held town of Khan Sheikhoun in north-western Syria. 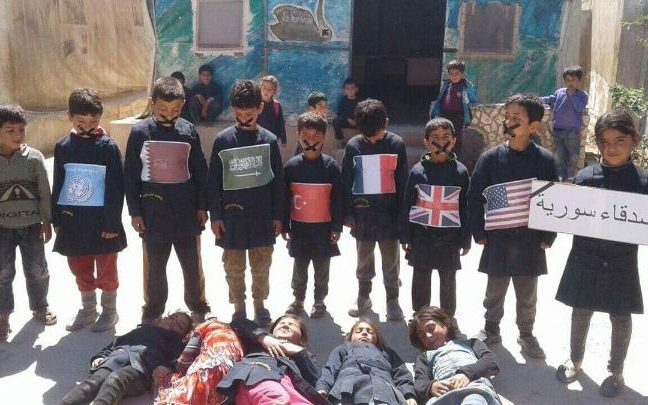 Worse, ONE THIRD of them were children who had not even an iota of knowledge about the political issues Syria is suffering since many years. An air strike by Syrian forces left people gasping for breath as a reaction to the nerve agent released by bombs. 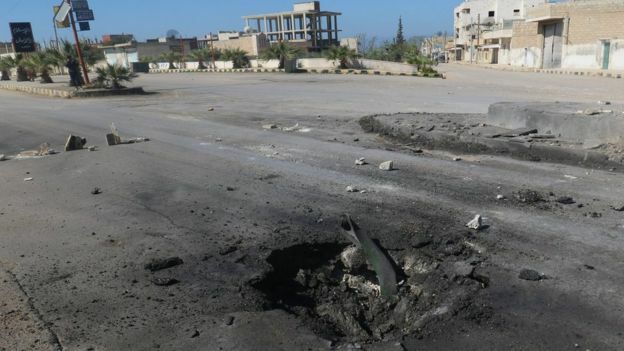 “Witnesses say warplanes attacked Khan Sheikhoun, about 50km (30 miles) south of the city of Idlib, early on Tuesday, when many people were asleep. Mariam Abu Khalil, a 14-year-old resident who was awake, told the New York Times that she had seen an aircraft drop a bomb on a one-storey building. The explosion sent a yellow mushroom cloud into the air that stung her eyes. “It was like a winter fog,” she said. She sheltered in her home, but recalled that when people started arriving to help the wounded, “they inhaled the gas and died”. Hussein Kayal, a photographer for the pro-opposition Edlib Media Center (EMC), told the Associated Press that he was awoken by the sound of an explosion at about 06:30 (03:30 GMT). When he reached the scene, there was no smell, he said. He found people lying on the floor, unable to move and with constricted pupils. Opposition activists said government warplanes dropped bombs containing chemicals. Mohammed Rasoul, the head of a charity ambulance service in Idlib, told the BBC that he heard about the attack at about 06:45 and that when his medics arrived 20 minutes later they found people, many of them children, choking in the street. The Union of Medical Care and Relief Organisations (UOSSM), which funds hospitals in rebel-held Syria, said three of its staff in Khan Sheikhoun were affected while treating patients in the streets and had to be rushed to intensive care. Victims experienced symptoms including redness of the eyes, foaming from the mouth, constricted pupils, blue facial skin and lips, severe shortness of breath and asphyxiation, it added. 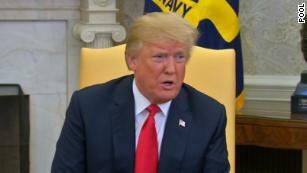 President Trump sent in his air force to target the air base in Syria from which the chemical weapon strike was believed to have been conducted on April 4, 2017. Forces of President Assad of Syria have been using chemical weapons since many years. 3. Now, what are chemical weapons? “Chemical weapons are classified as weapons of mass destruction (WMDs), though they are distinct from nuclear weapons, biological weapons, and radiological weapons. All may be used in warfare and are known by the military acronym NBC (for nuclear, biological, and chemical warfare). Weapons of mass destruction are distinct from conventional weapons, which are primarily effective due to their explosive, kinetic, or incendiary potential. Chemical weapons can be widely dispersed in gas, liquid and solid forms, and may easily afflict others than the intended targets. Nerve gas, tear gas and pepper spray are three modern examples of chemical weapons. “The 1993 Chemical Weapons Convention (CWC) is the most recent arms control agreement with the force of International law. Its full name is the Convention on the Prohibition of the Development, Production, Stockpiling and Use of Chemical Weapons and on their Destruction. That agreement outlaws the production, stockpiling and use of chemical weapons. It is administered by the Organisation for the Prohibition of Chemical Weapons (OPCW), which is an independent organization based in The Hague. The OPCW administers the terms of the CWC to 192 signatories, which represents 98% of the global population. As of June 2016, 66,368 of 72,525 metric tonnes, (92% of CW stockpiles), have been verified as destroyed. The OPCW has conducted 6,327 inspections at 235 chemical weapon-related sites and 2,255 industrial sites. These inspections have affected the sovereign territory of 86 States Parties since April 1997. Worldwide, 4,732 industrial facilities are subject to inspection under provisions of the CWC. 5. WHAT AN AMAZING CIVILIZATION SYRIA WAS, ONCE UPON A TIME? Syria was an ancient civilization! In fact it used to be called the cradle of civilization! It ranked along with the Egyptian and Indus Valley civilizations to dazzle the emerging world of that time with advancements in knowledge and urban living. “Syria is a country located in the Middle East on the shore of Mediterranean Sea and bordered, from the north down to the west, by Turkey, Iraq, Jordan, Israel, and Lebanon. It is one of the oldest inhabited regions in the world with archaeological finds dating the first human habitation at c. 700,000 years ago. The Dederiyeh Cave near Aleppo has produced a number of significant finds, such as bones, placing Neanderthals in the region at that time and shows continual occupation of the site over a substantial period. The first evidence of modern humans appears c. 100,000 years ago as evidenced by finds of human skeletons, ceramics, and crude tools. The historian Soden notes that, “Scholars have sought to deduce especially important developments, for example, folk migrations, from cultural changes which can be read in archaeological remains, particularly in ceramic materials…Yet there can be frequent and substantial changes in the ceramic style, even if no other people has come onto the scene” (13). It is clear, however, that an agrarian civilization was already thriving in the region prior to the domestication of animals c. 10,000 BCE. SYRIA WAS AN IMPORTANT TRADE REGION WITH PORTS ON THE MEDITERRANEAN, PRIZED BY A SUCCESSION OF MESOPOTAMIAN EMPIRES. In its early written history, the region was known as Eber Nari (‘across the river’) by the Mesopotamians and included modern-day Syria, Lebanon, and Israel (collectively known as The Levant). Eber Nari is referenced in the biblical books of Ezra and Nehemiah as well as in reports by the scribes of Assyrian and Persian kings. The modern name of Syria is claimed by some scholars to have derived from Herodotus’ habit of referring to the whole of Mesopotamia as ‘Assyria‘ and, after the Assyrian Empire fell in 612 BCE, the western part continued to be called ‘Assyria’ until after the Seleucid Empire when it became known as ‘Syria’. This theory has been contested by the claim that the name comes from Hebrew, and the people of the land were referred to as ‘Siryons’ by the Hebrews because of their soldiers’ metal armor (‘Siryon’ meaning armor, specifically chain mail, in Hebrew). Early settlements in the area, such as Tell Brak, date back to at least 6000 BCE. It has long been understood that civilization began in southern Mesopotamia in the region of Sumer and then spread north. The video below has been posted by the Permanent Mission of the Syrian Arab Republic to United Nations, and encapsulates the Syrian civilization! 6. Now, the question arises why and how such beautiful civilizations are coming to an end with the use of weapons of mass destruction including chemical nerve gases? And why political issues are not been resolved by peaceful negotiation? Is it because undeserving politicians are catapulted to the top? Is it because half the world is not bothered about what happens to the other half? Is it because humanity only reacts when own kin has died ? Is it because people of the world are increasingly becoming selfish? Is it because UN has no real teeth? Is it because the world has failed to lay down standards of decent governance to be followed by all nations? Why can’t such a protocol be in place? Why can’t a country whose political administration has failed, be taken over by a Global Board of Governance, formed under the United Nations safeguarding the lives, rights, language, culture, and privileges of the people? Should a rogue administration be allowed to remain in power? The world needs a certain discipline and a certain policing at the highest level. The world needs peace in the hearts of rulers, not greed and hunger for power. The world needs more prayers than ever before! LET PEACE PREVAIL AS WE REMEMBER THE CHILDREN OF SYRIA WHO DIED IN THE CHEMICAL WEAPON ATTACK! STAND UP PLEASE FOR WORLD PEACE!!! St. Petersburg deserves more Hymns than Bombs ! Time and again militancy rises from the Earth like treacherous snakes from a womb of evil ! Always the unsuspecting, innocent and uninvolved lose their precious lives for a cause not related to them. NY Times carried a detailed article how this time it was students and innocent travelers who lost their precious lives in a dastardly moment early April in St. Petersburg. If you walk through their lives, as reported, you will question WHY THEM? When we read of their ambitions, their struggling small lives we often wonder why they were chosen to die for nothing. Along with them crashed their dreams and hopes. Along with them perished a tiny flame of God’s own humanity. Whether the issue voiced so loudly by a bomb, blood splashed on the ground was able to resolve and find solution? Whether the people who did it have any sense of remorse and guilt? These are questions before society and the policy makers. The police will apprehend the suspect, the courts shall start a trial and maybe for want of evidence the militant shall escape scot free after a score of years. But, the dead will never come alive. A requiem sung, some wreaths, few strong words by the people in power and the newspaper stories shall soon gather dust, the TV coverage shall be faded by bigger tragedies and more dead. The civil society must work for more peace in the hearts of people living around them. State should draw mechanisms to report any suspicious activity easily maintaining anonymity of the citizen. Most of all we need more good karma on Planet Earth to keep the balance in favour of peace! (Acknowledgements to NY Times for reproducing their story below). 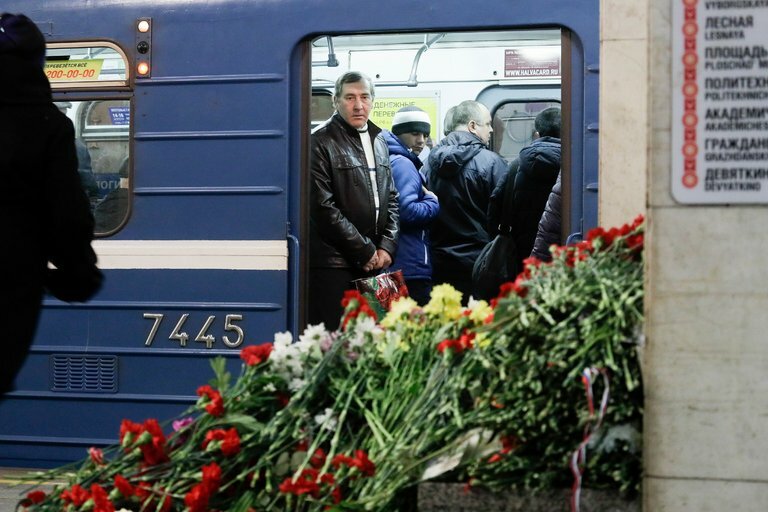 ST. PETERSBURG, Russia — The 14 people who died in a terrorist attack on the St. Petersburg subway were a cross section of the city, caught in the wrong place at the wrong time. There was a famous doll maker whose creations with often crazy hair were beloved by collectors, and who apparently saved her daughter’s life by shielding her as a bomb erupted deep underground around 2:40 p.m. on Monday. There was a young wrestling coach adored by his team. When he did not appear for practice as scheduled and did not answer his cellphone, people posted pictures of him and his distinctive tattoos on social media, refusing to believe that he could have been swept away so suddenly and so young. There were many students — some finished for the day, some playing hooky, many making plans that were abruptly, catastrophically cut short. The doll maker, Irina Medyantseva, 50, was not alone. She and her grown daughter Yelena, also a doll designer, had just boarded the third carriage of the train at Sennaya Station when the terrorist struck. Relatives told Komsomolskaya Pravda, a tabloid, that the mother had protected the daughter, who ended up in intensive care. Irina Medyantseva, in a picture taken from social media. Mrs. Medyantseva was famous in St. Petersburg, Russia’s second-largest city and imperial capital, for making dolls for the past 15 years. Her creations sported big eyes, big grins and droopy clothes, a little vulnerable and a little unconventional. Photographs of Mrs. Medyantseva showed her in her garden or donning big glasses to look a bit like one of her dolls. “Catastrophe,” wrote her husband, Alexander Kaminsky, on his page on Vkontakte, the Russian equivalent of Facebook. “I’ve lost my beloved wife.” After the explosion, his daughter called him briefly to recount what happened before she was whisked to the hospital. The wrestling coach, Denis R. Petrov, 25, had been an assistant coach for children at a club called Warrior since September. He was a stocky blond with numerous tattoos — a dark blue Polynesian design across one shoulder, English phrases up both forearms and burst of color on his right wrist. He had called in the morning to say he would be there around 3 p.m., and when he did not appear, his colleagues began making a series of frantic telephone calls to try to find him. “We didn’t want to believe that he had died,” one told the newspaper Moskovsky Komsomolets. 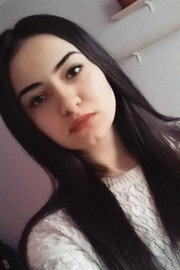 Dilbara S. Aliyeva was one of the students killed. 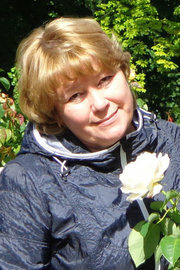 She was in her third year at Emperor Alexander I St. Petersburg State Transport University. On its website, the university announced the death and reported that 12 more of its students were injured. Ms. Aliyeva — whose pictures show a woman with long black hair — was studying at the faculty of economics and management. She wanted to become a psychologist, the statement said. “Like any girl, she had friends, was making big plans, loved life,” it said. Ms. Aliyeva was originally from Baku, Azerbaijan, but had moved to St. Petersburg with her family and completed high school there. Another student, Maksim Aryshev, 19, a native of Kazakhstan, was so close to the blast that at first there were reports — given the fears about suicide attackers from Central Asia — that he had been the bomber. 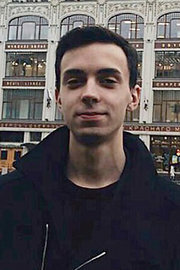 Mr. Aryshev, a third-year student at St. Petersburg State University of Economics, wanted to be a programmer. A classmate described him to the Meduza news website as cheerful and sociable, a man who loved to joke and the life of any party. There was at least one mystery among the dead. Angelina Svistunova, 27, described as the wife of a military man, was said to have spent most days at home. Her family was mystified as to why she was on the metro in the middle of the day, according to Moskovsky Komsomolets. Finally, there was the bomber himself: Akbarzhon Dzhalilov, 22, a member of the Uzbek minority in the troubled city of Osh, in southern Kyrgyzstan, who came to St. Petersburg six years ago after obtaining Russian citizenship through his father. He blossomed into a car mechanic. About the only signs of radicalization were a few links to Islamist websites on his social media pages, and one source told Interfax that he seemed to have returned from a rare visit home in February a changed man — sullen and withdrawn. How he became radicalized — yet another in a line of lone wolves that have left a bloody trail around the globe — is part of the investigation. His father and mother arrived in St. Petersburg on Wednesday to identify the body and to speak with investigators. “I do not believe it,” was all the mother told reporters upon arrival, according to Interfax. The names of the deceased have dribbled out slowly; the list was still incomplete by Wednesday morning, and the families were supposed to begin receiving their remains later in the day. Their relatives, as well as the injured, were mostly being shielded from public view at the various hospitals to which they were admitted. Dozens remained hospitalized. Mr. Veprentsev, lying under a blanket at City Hospital No. 26 in St. Petersburg, answered a steady stream of telephone calls from friends inquiring about his health. The young man was injured after he decided at the last minute to skip an afternoon class and go back home, dashing across the platform to the fateful train. He was in an adjacent car when the door blew in on him. “I was shocked. I threw the door away from me and began to crawl through this whole mess,” he said. The dead around him had screws sticking out of their heads, he said, apparently part of the shrapnel in the bomb. At first he went home, but, feeling ill, he was taken to the hospital by a friend. Doctors determined he had a concussion, multiple injuries, trauma inside his chest and glass injuries across his back. Opposite him in the same tiny room, also under a blanket, lay Konstantin Y. Kolodkin, 40, a well-built man with a dark mustache who installs car alarms for a living. He had been on the way home from work and said he did not remember which car he had entered when suddenly there was a blast. “I jumped out of the car like the cork out of bottle,” he said, then walked around dazed for while before going to the hospital, where he was found to have a concussion and multiple injuries. Follow Ivan Nechepurenko @INechepurenko and Neil MacFarquhar @NeilMacFarquhar on Twitter. Author adminPosted on April 15, 2017 April 16, 2017 Tags British Council, Inter-cultural Leadership, Manchester Business School Manchester UK, Maxwell School of Citizenship & Public Affairs Syracuse University NY, Peace Activism, Peace Building, Peacenik, Sandeep Silas, St. John's College Agra, St. Peter's College Agra, www.garlandofpeace.com, www.sandeepsilas.comLeave a comment on St. Petersburg deserves more Hymns than Bombs !